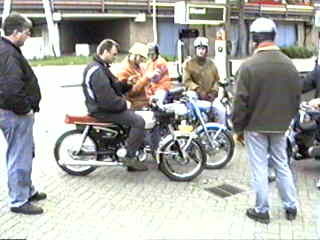 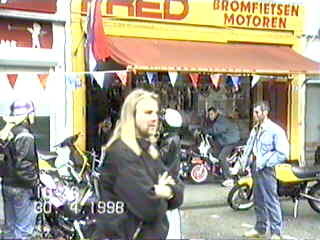 Thursday, 30 April 1998, there was a Zundapp meeting at Fred motoren in Rotterdam, NL. 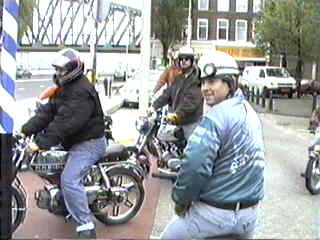 Every year Holland celebrates the queen's birthday and we call it "koninginnedag"
The police forbid it and tried to stop it several times but we were with too much mopeds to stop. 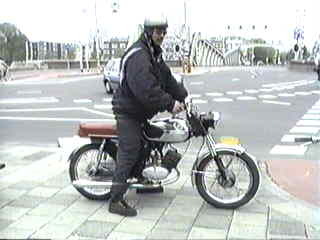 so we don't take the higway to Scheveningen anymore. 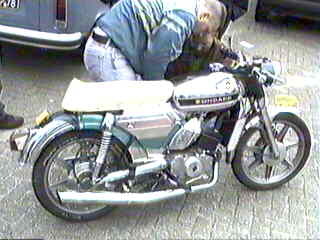 As you'll see it's very popular to build a 17 hp KS125 under a 517 (ks50)moped or 518 ks100 (smal) frame. 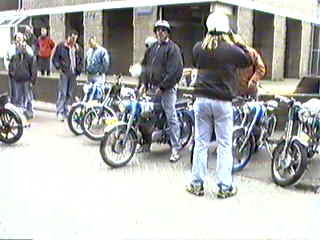 and traffic-registration for our 125 cc mopeds (which are legally motorcycles now). 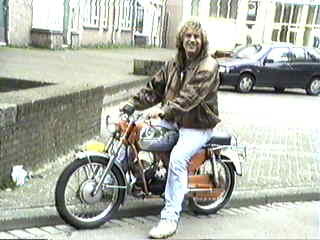 checks your moped and it's faster they take your un-original parts or your complete moped. 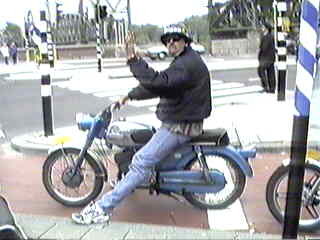 we drive here in holland. 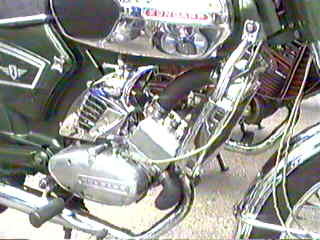 Close up of the flat KS50 watercooling of Onno.